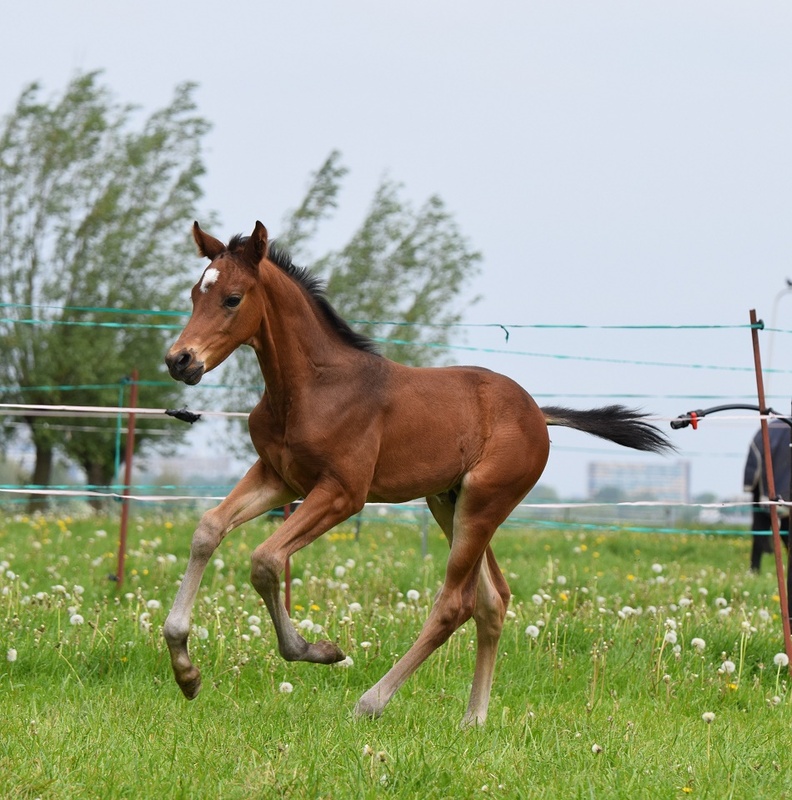 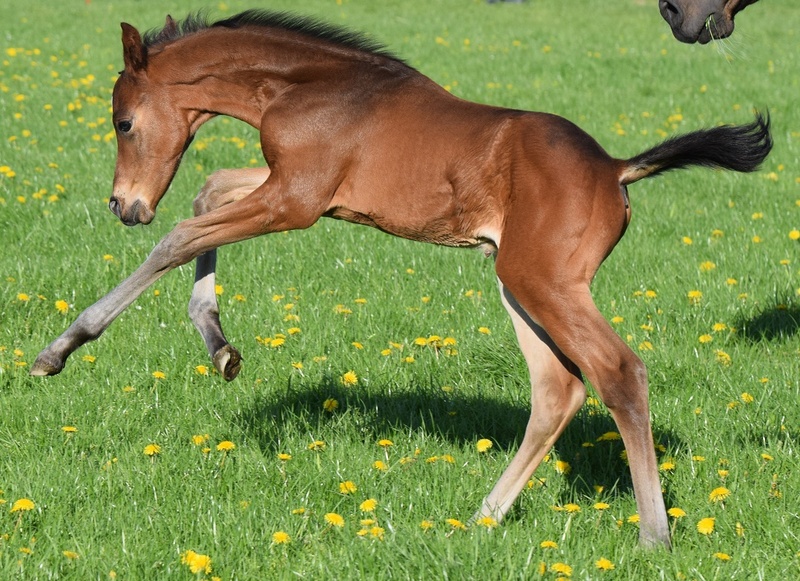 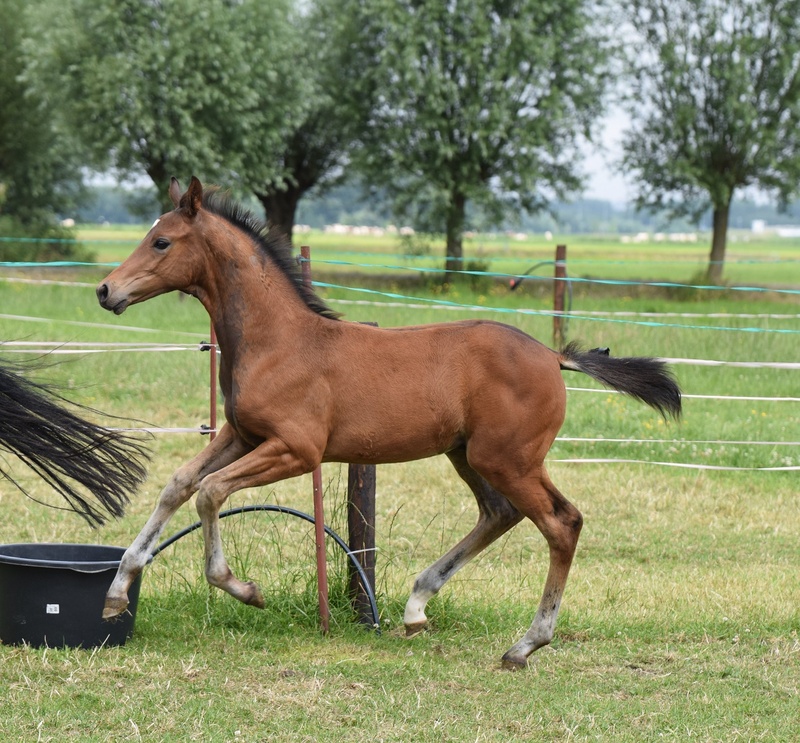 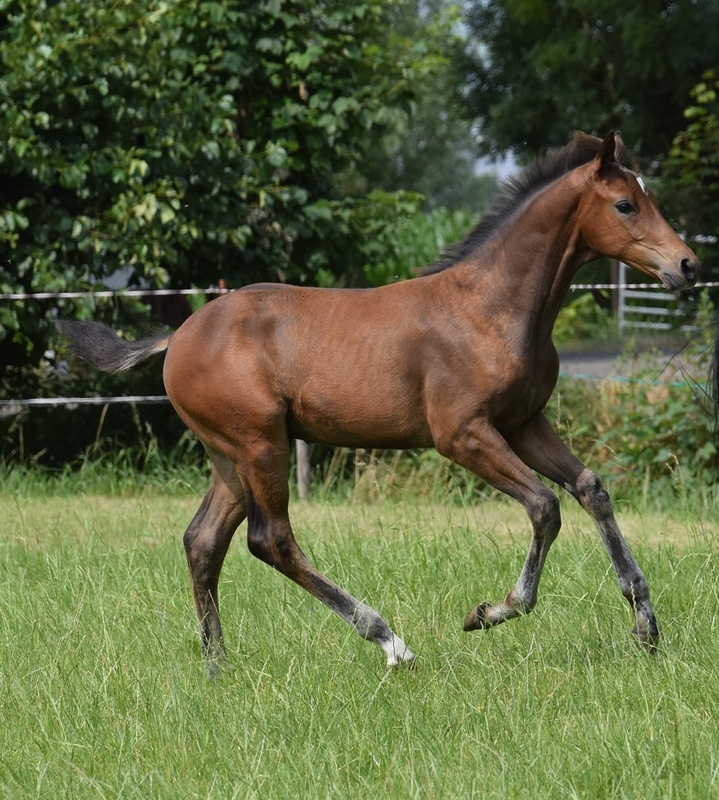 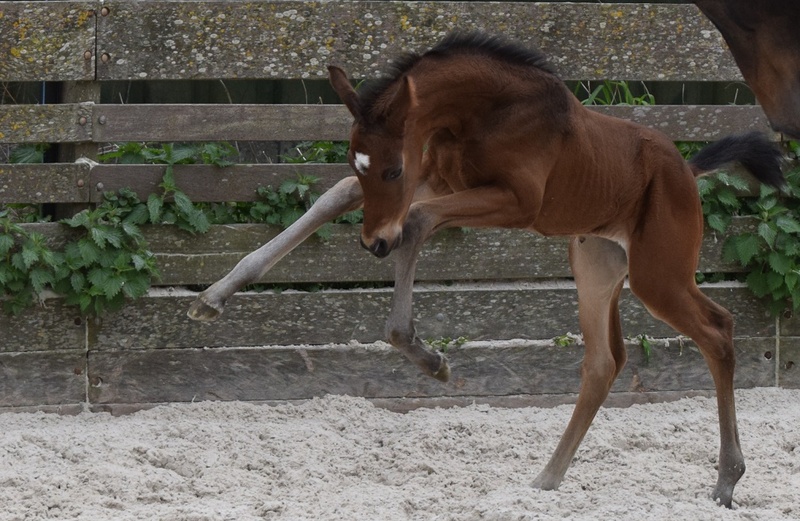 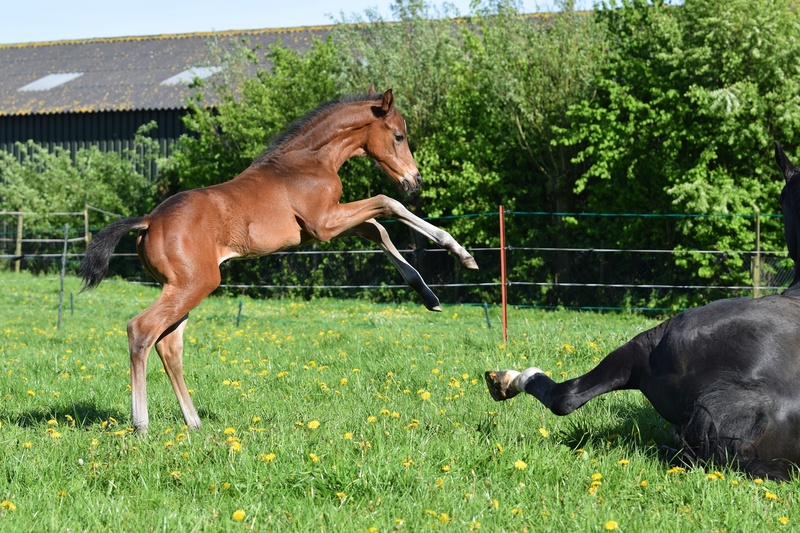 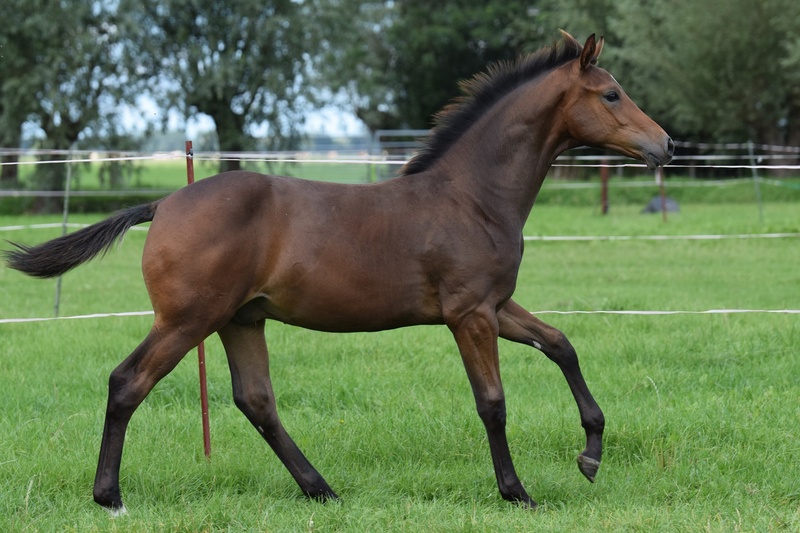 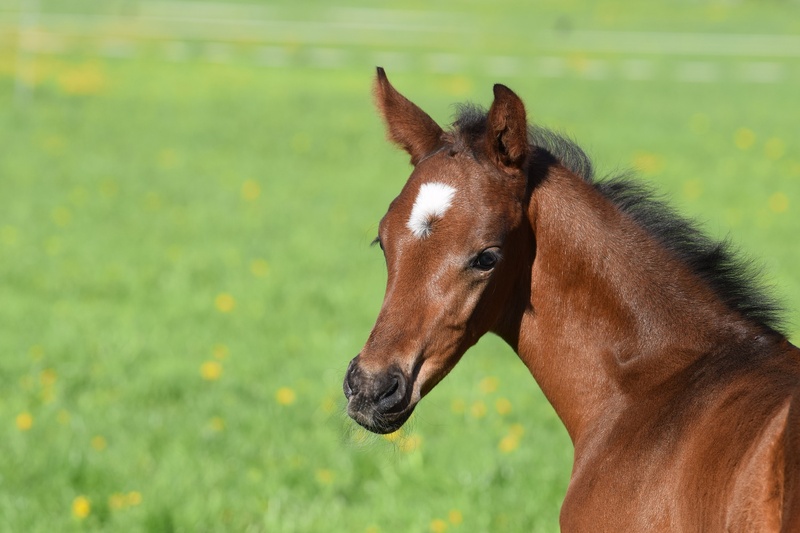 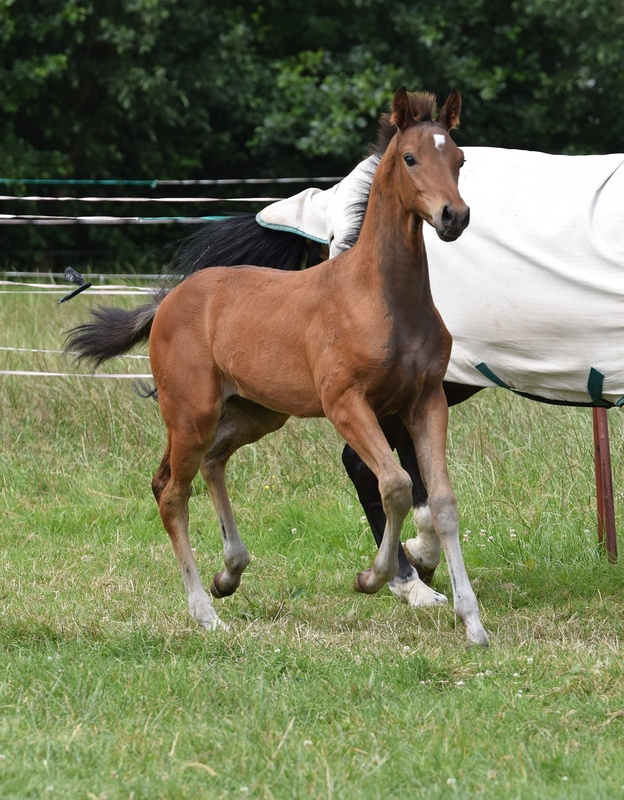 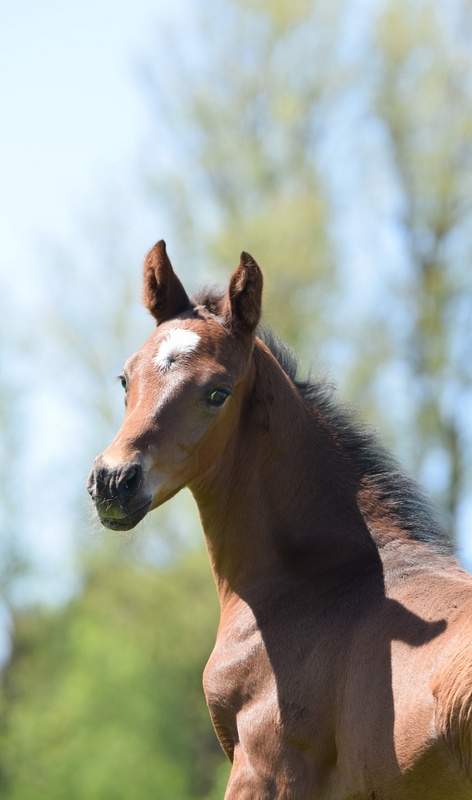 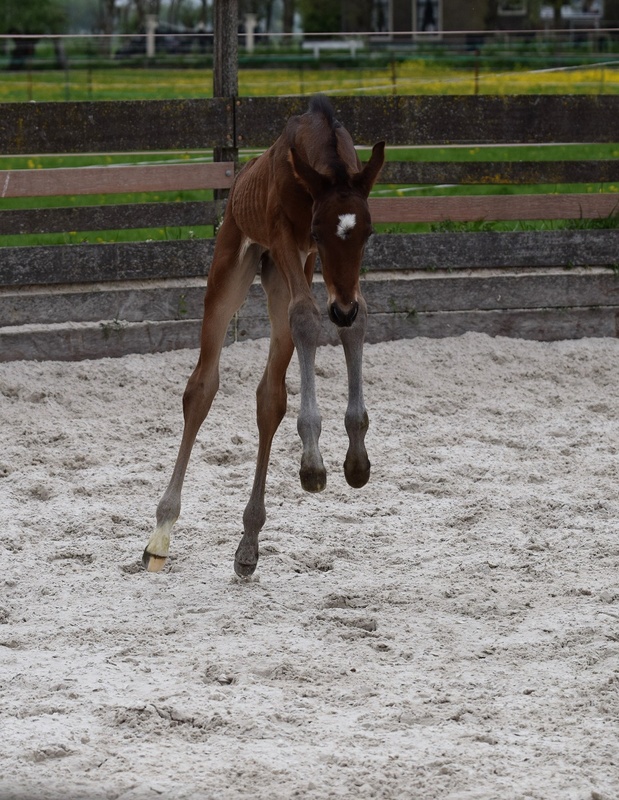 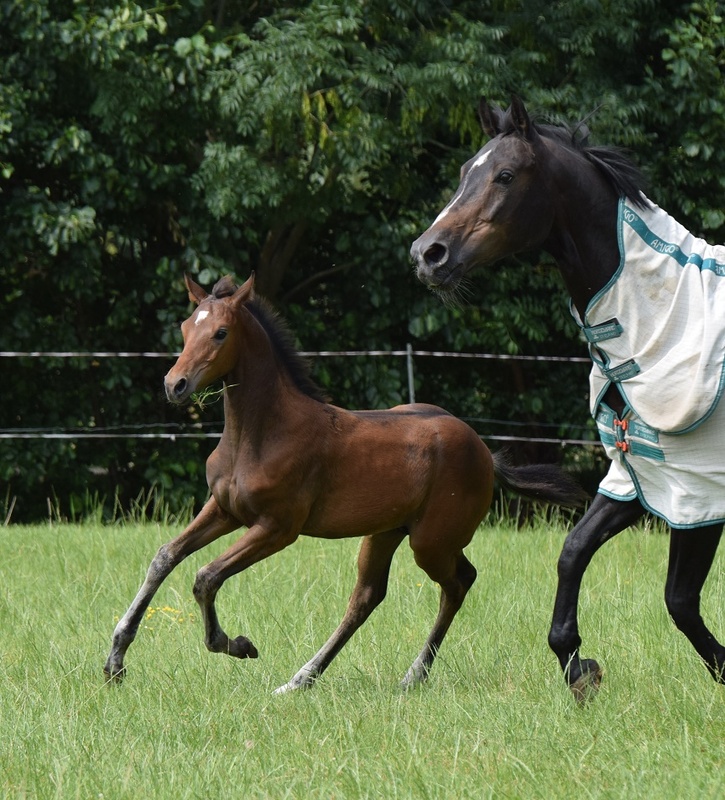 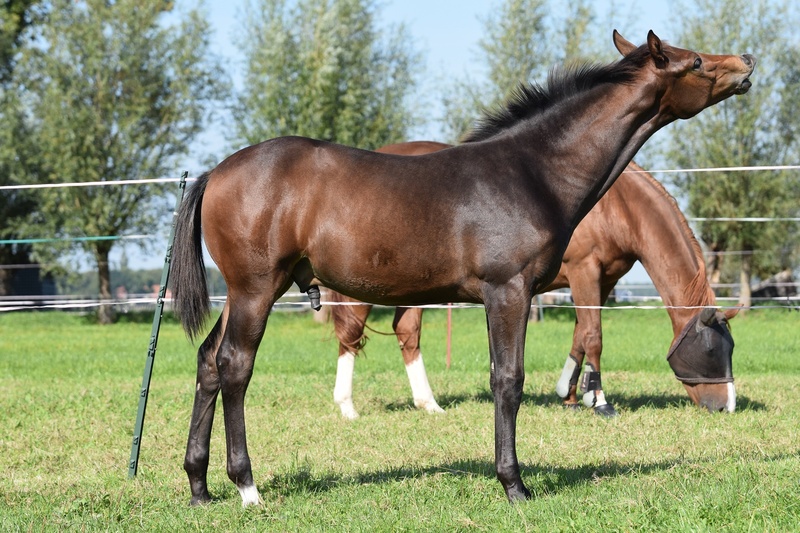 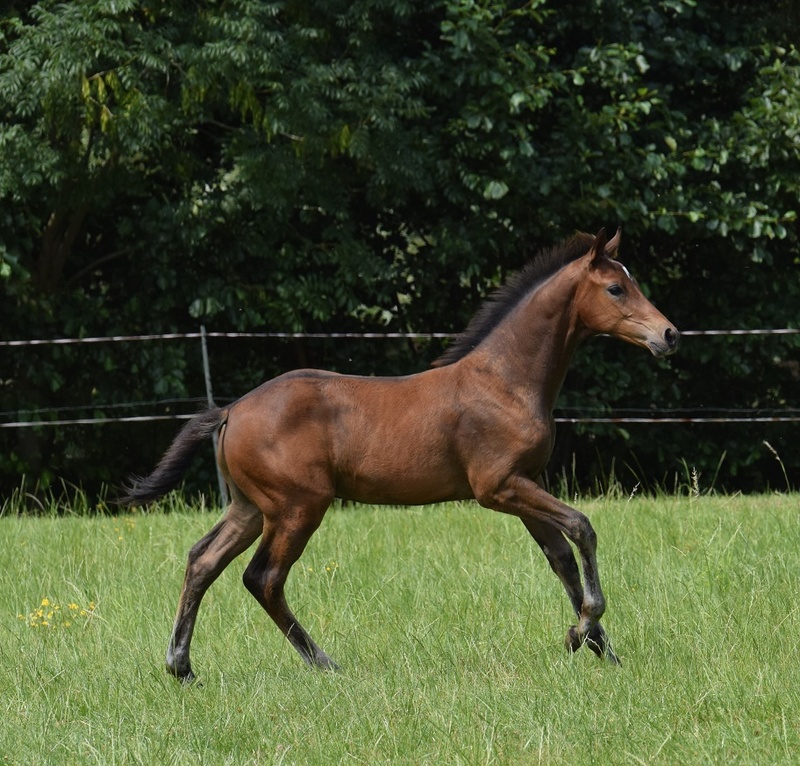 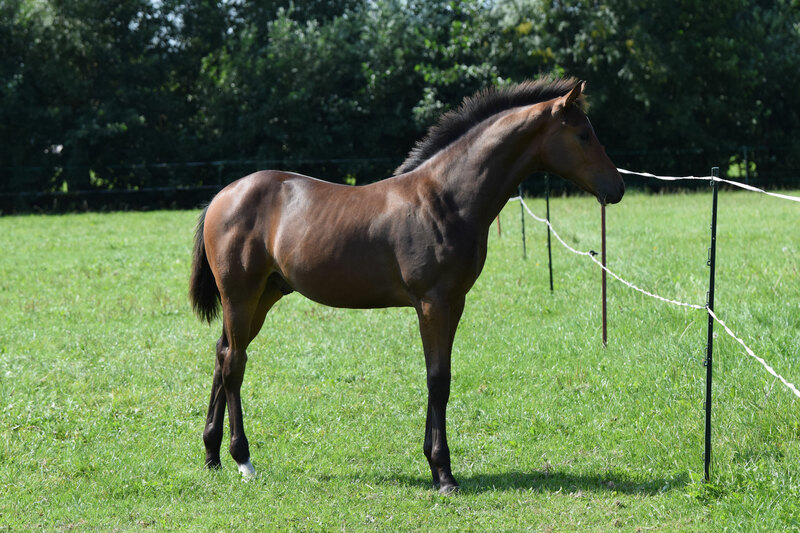 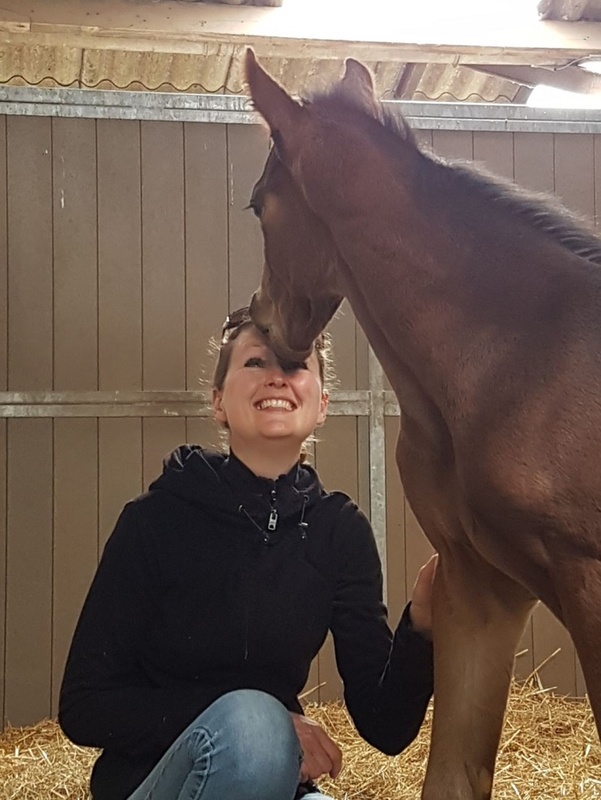 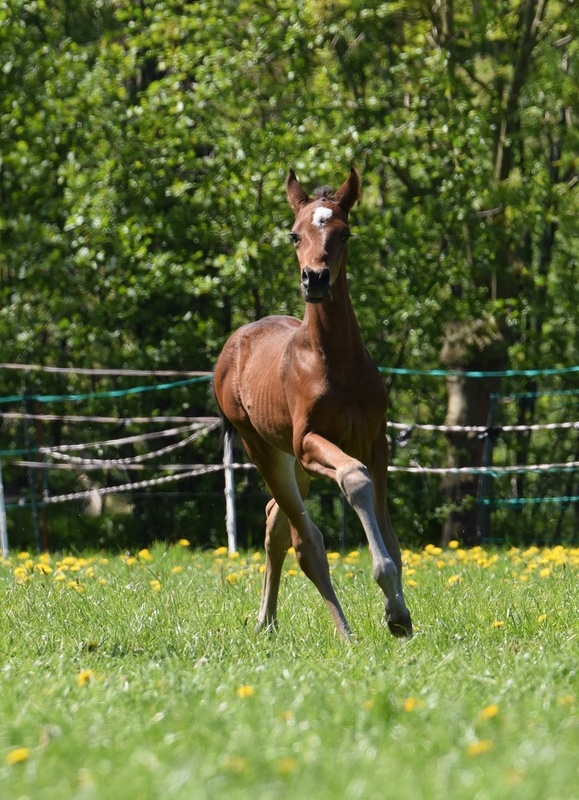 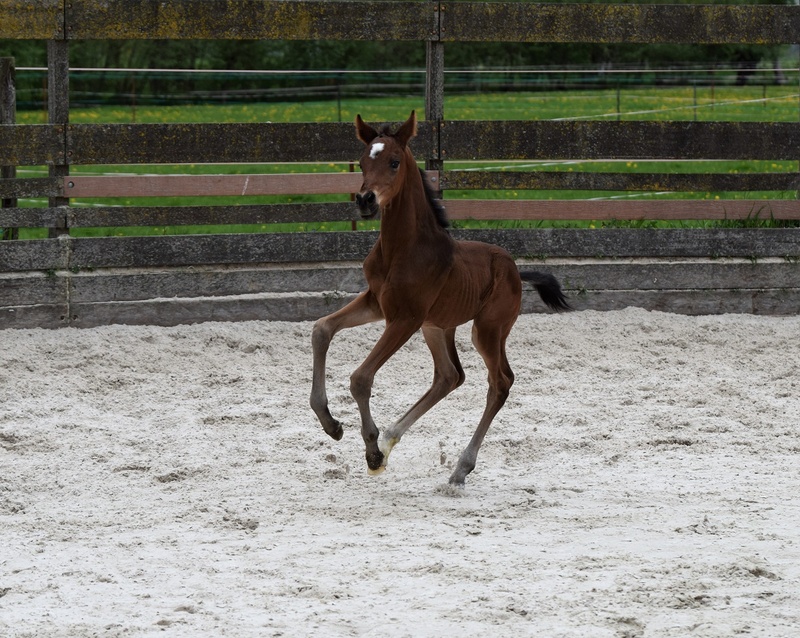 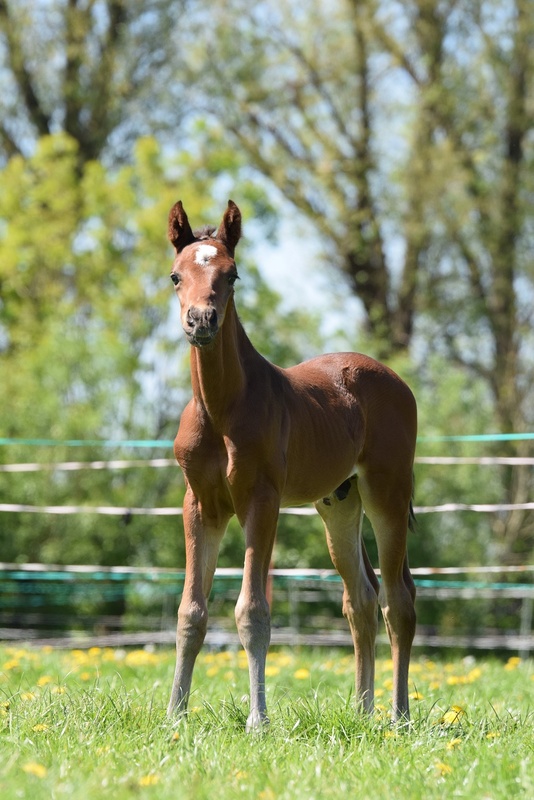 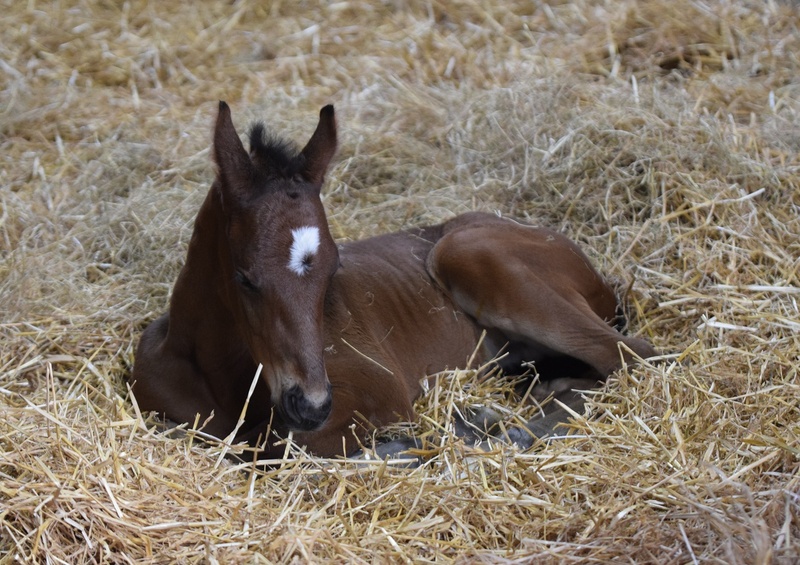 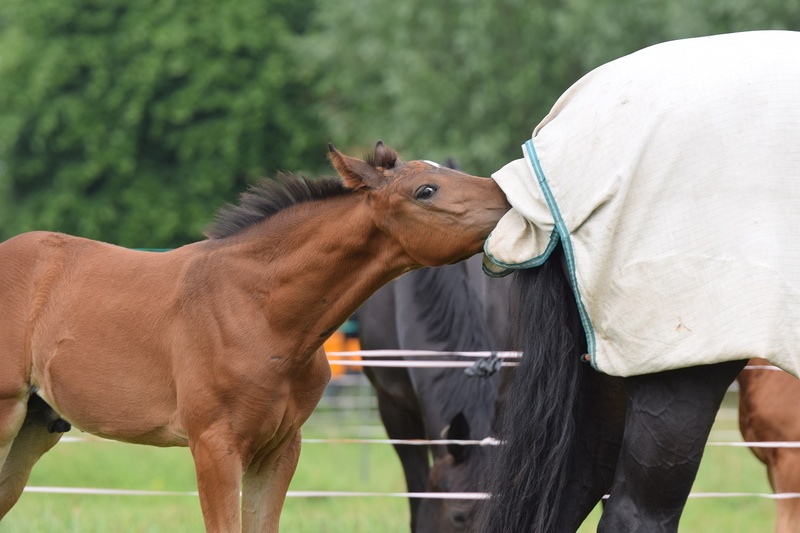 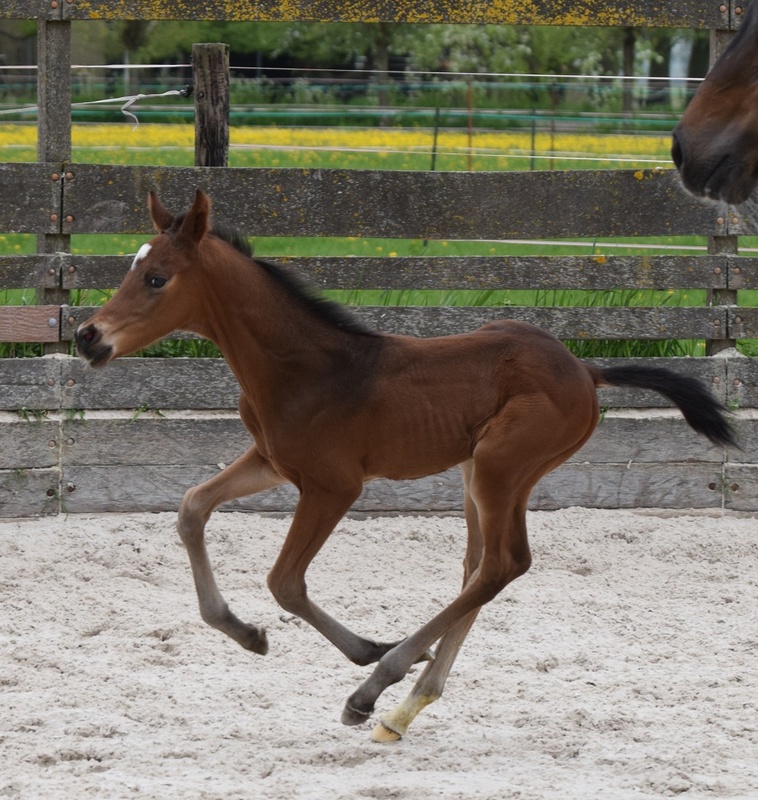 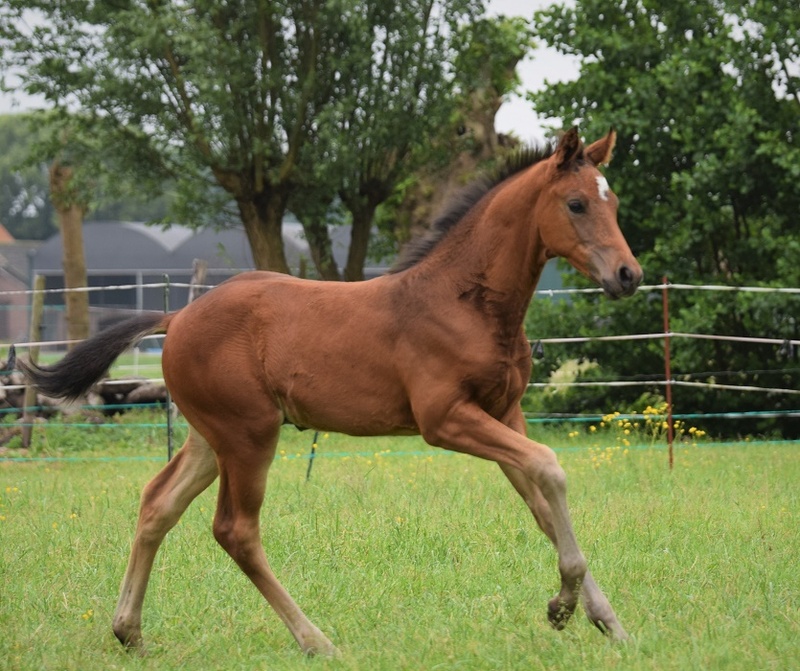 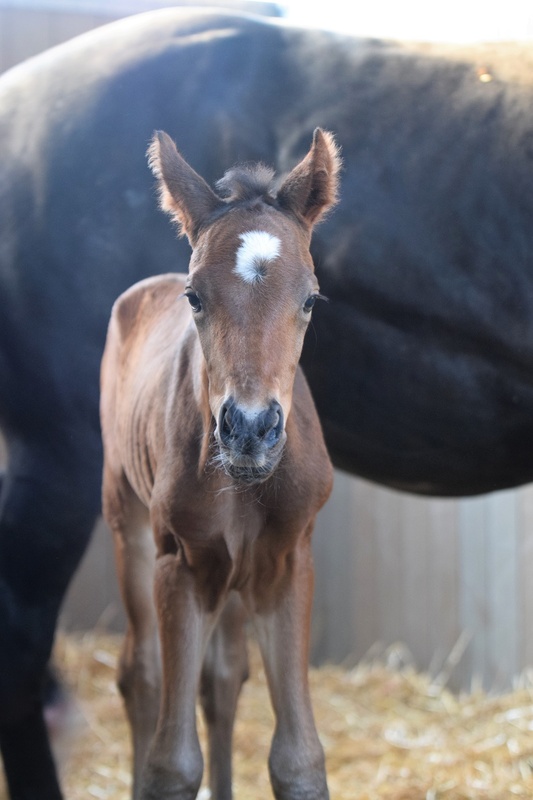 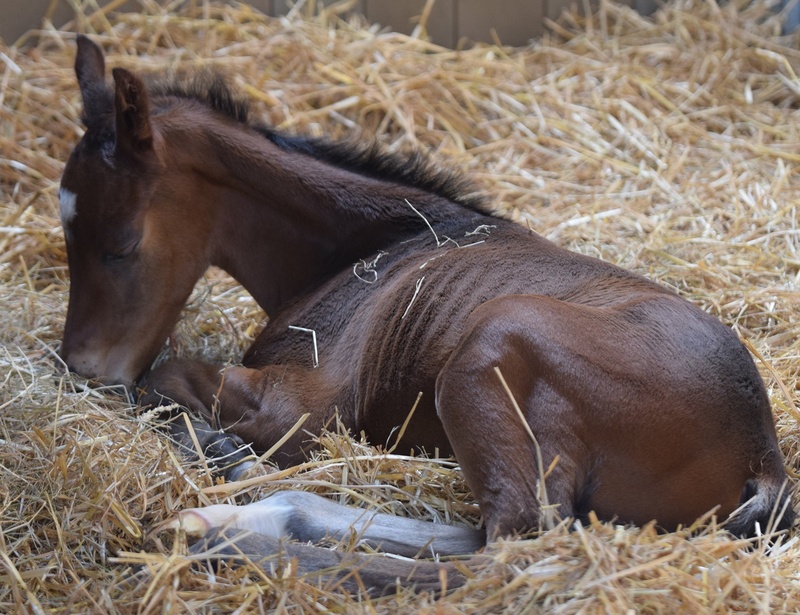 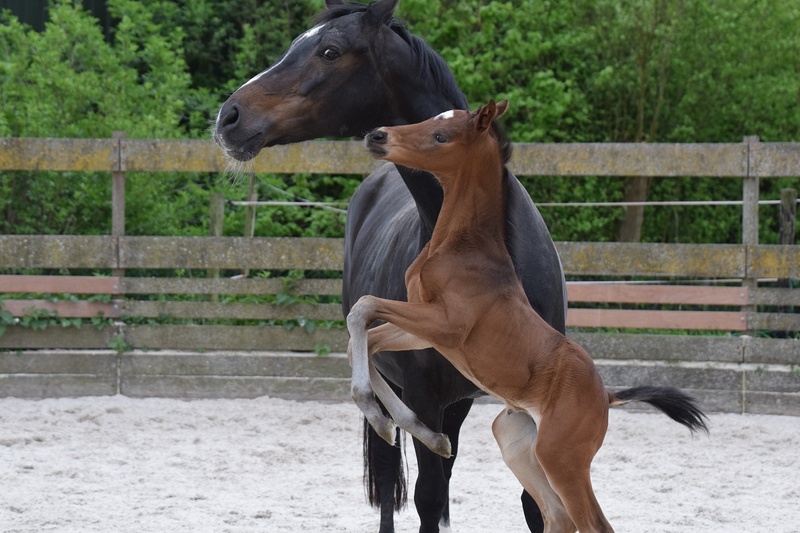 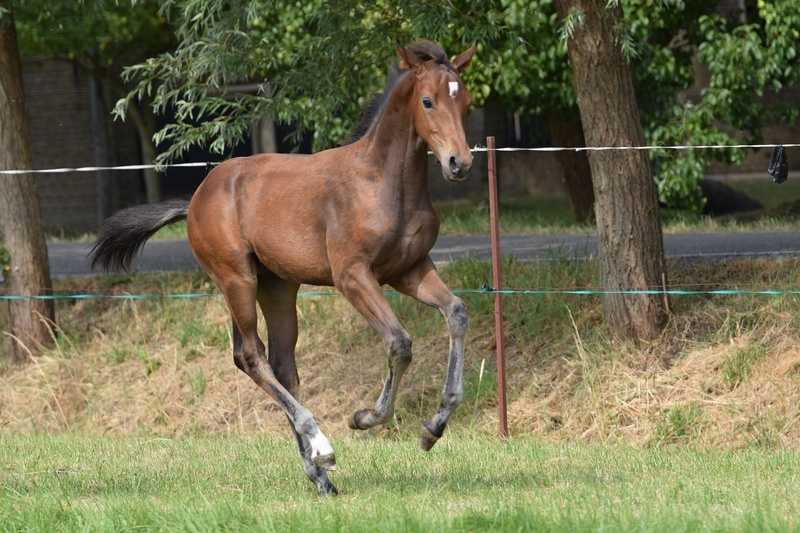 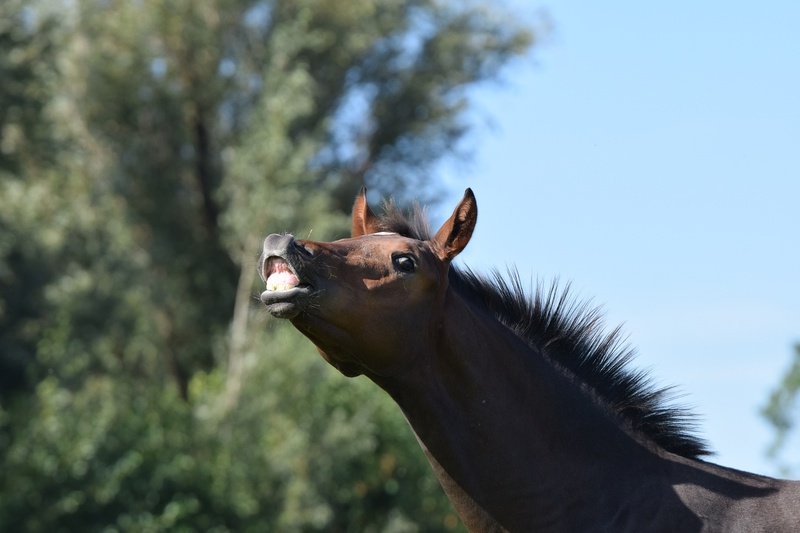 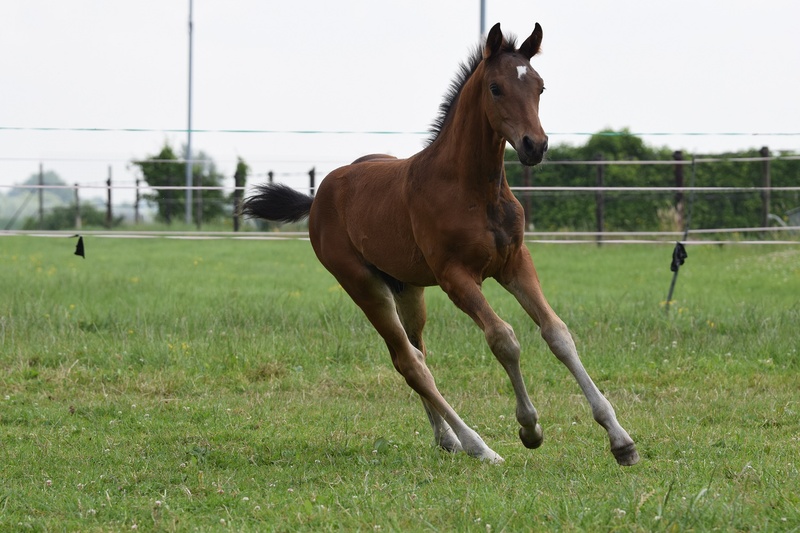 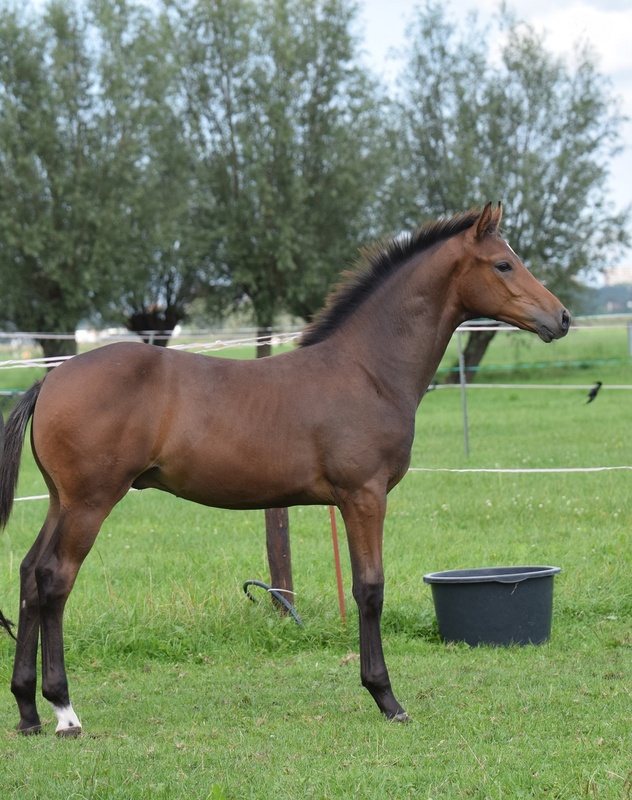 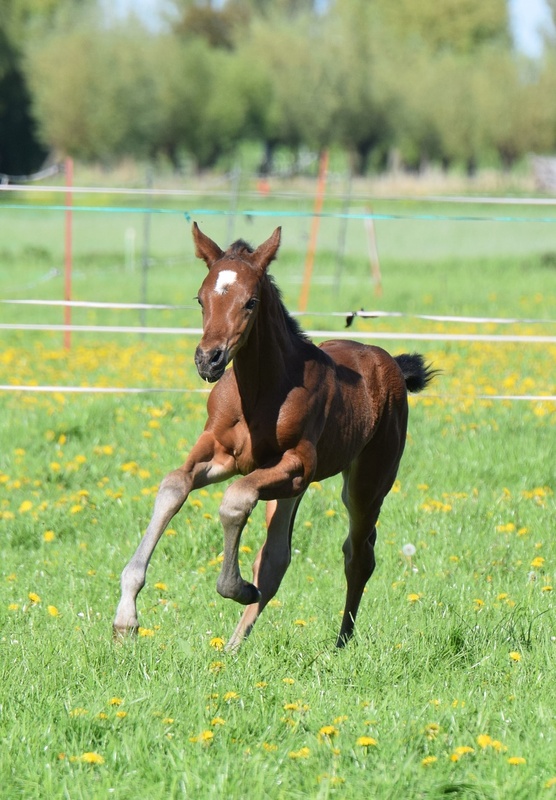 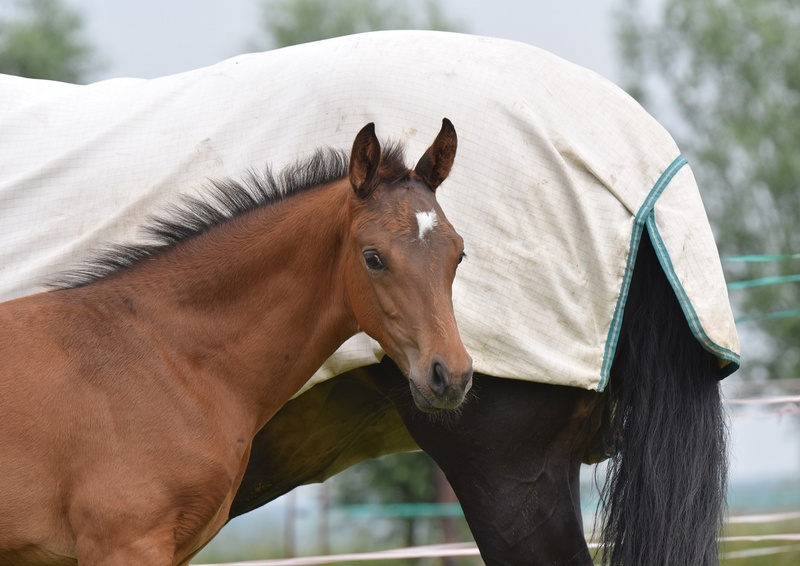 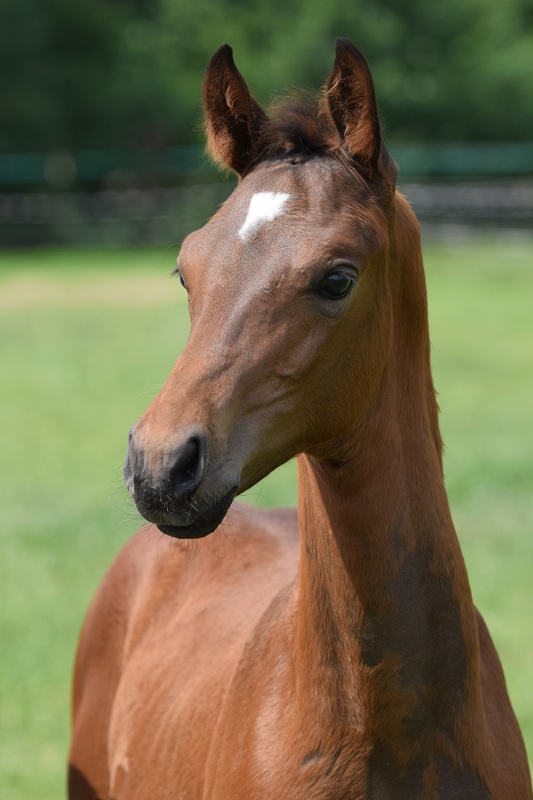 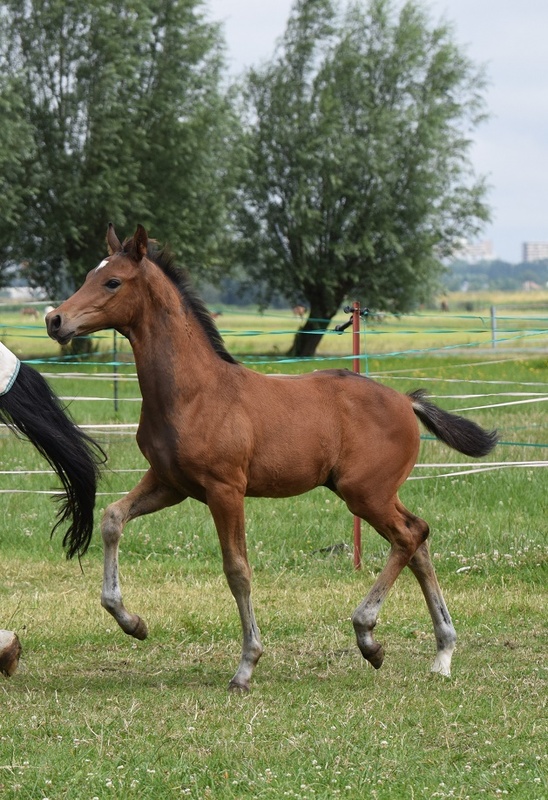 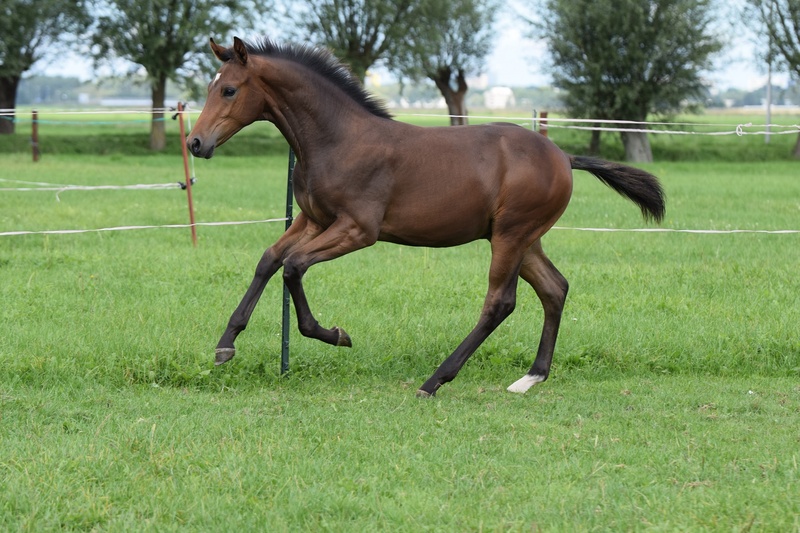 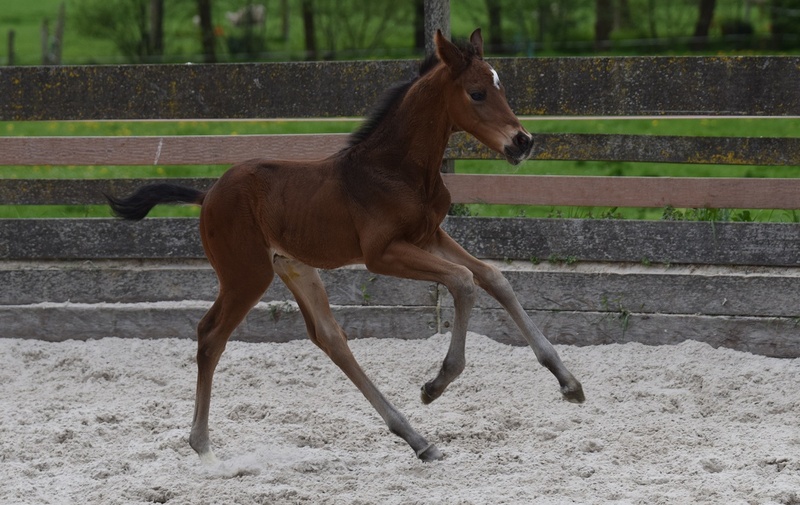 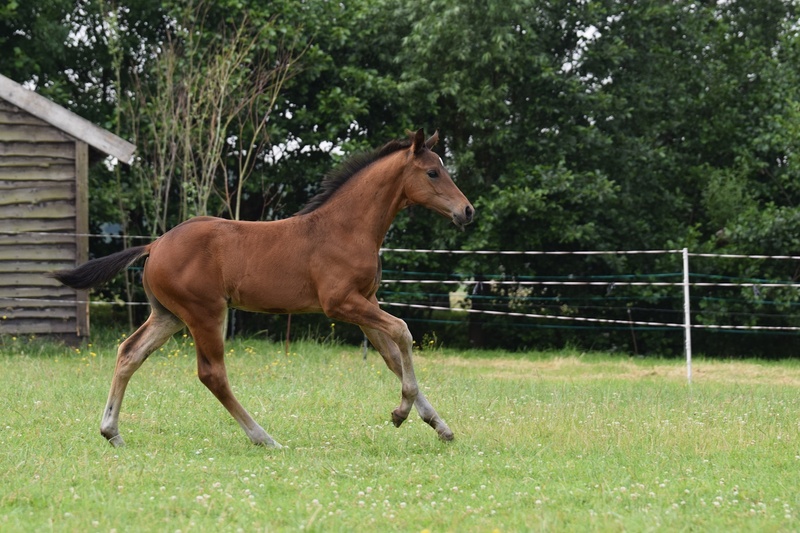 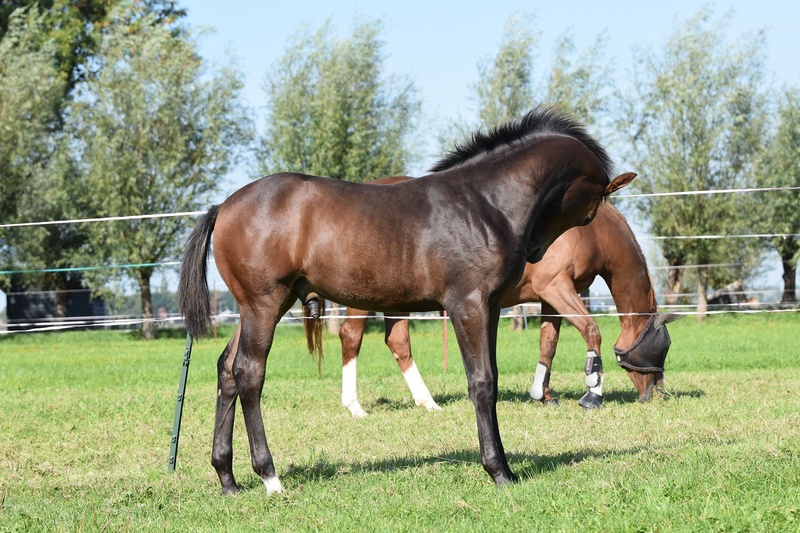 Brown colt by Fürstenball (Fürst Heinrich x Donnerhall) from our Ster Voorlopig Keur broodmare Solinde (Kennedy x Belisar x Duc de Normandie). 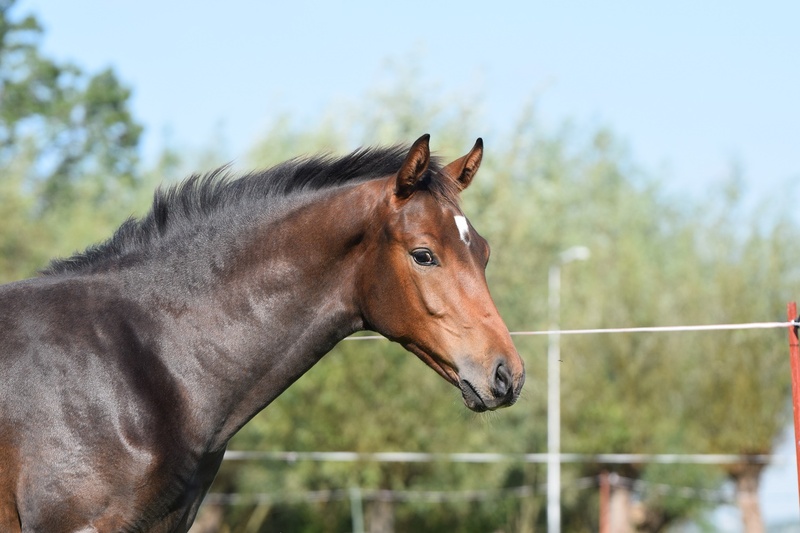 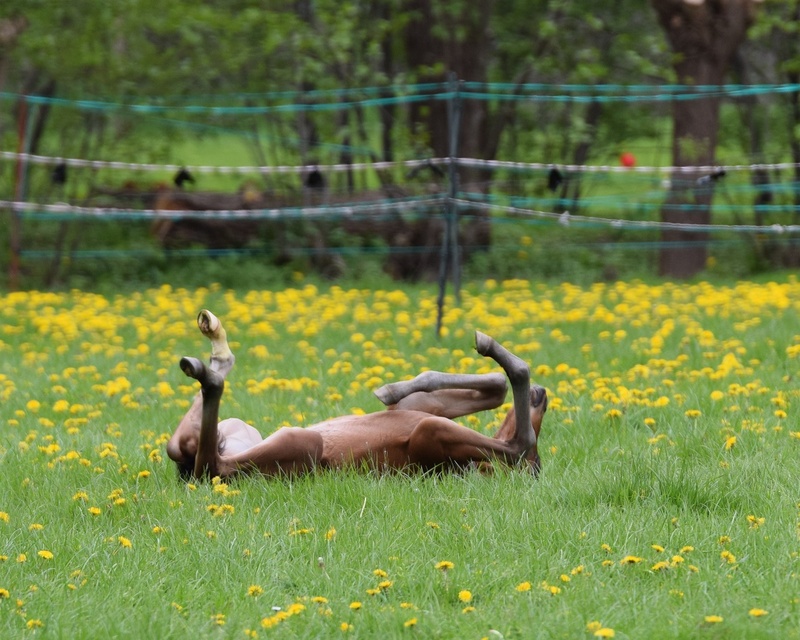 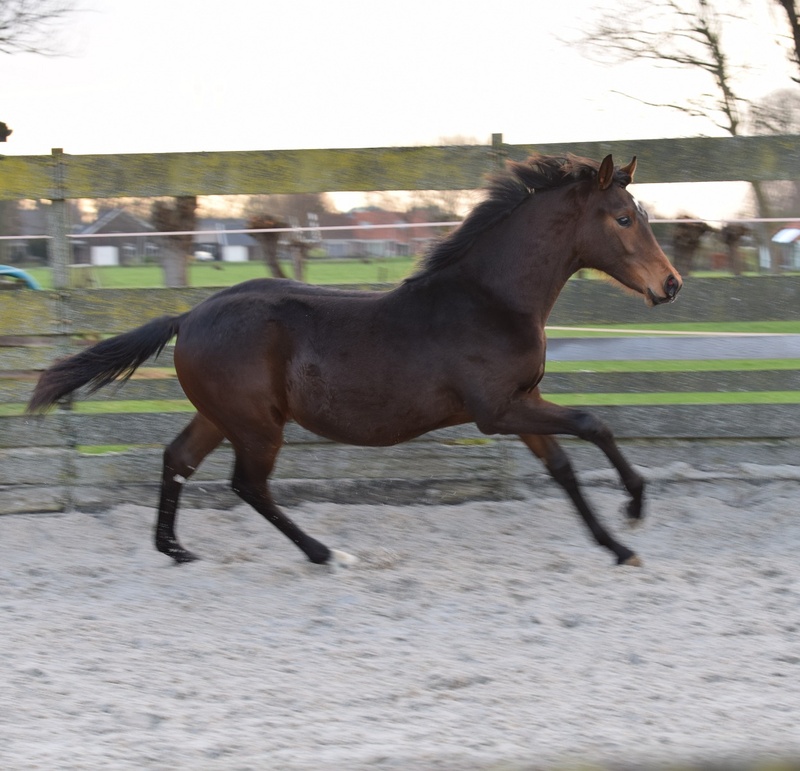 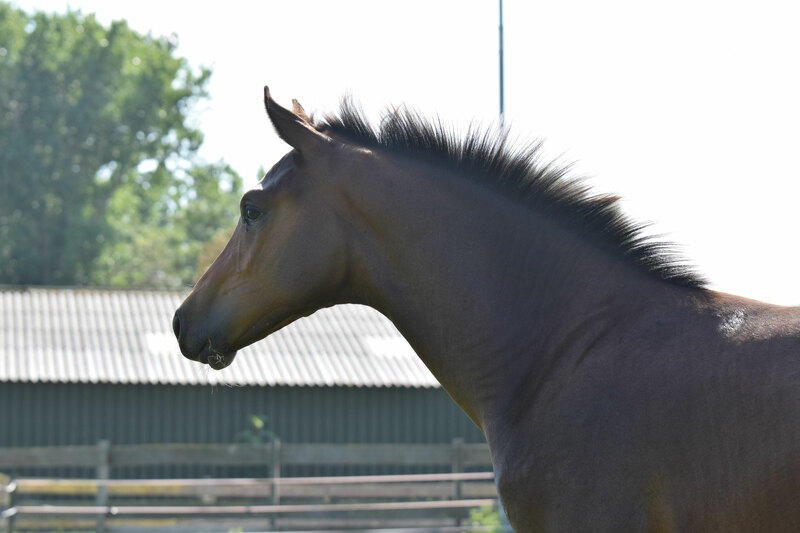 Solinde received the title national mare champion at the national selection in Drenthe, 2003. 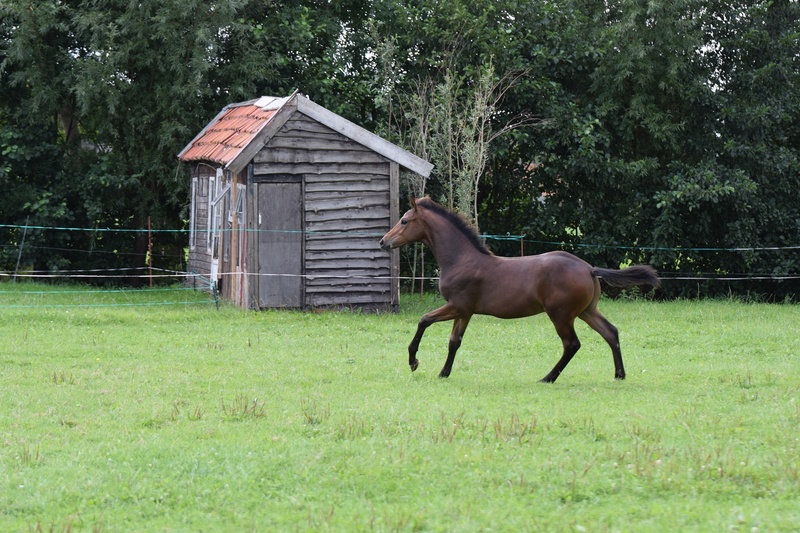 She scored 80 points for exterior and 81 ponts for movement. 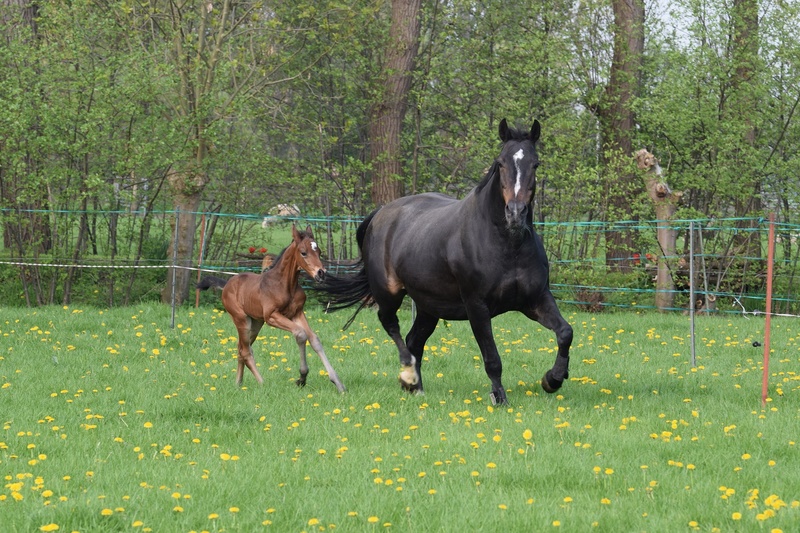 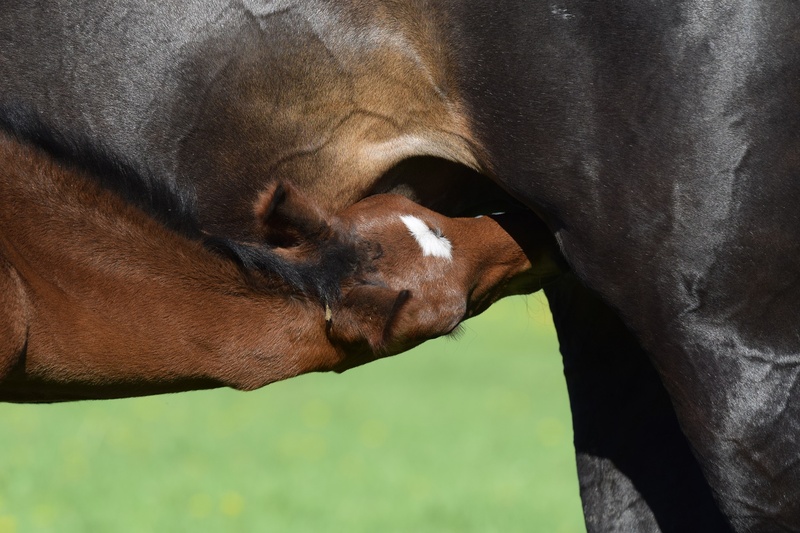 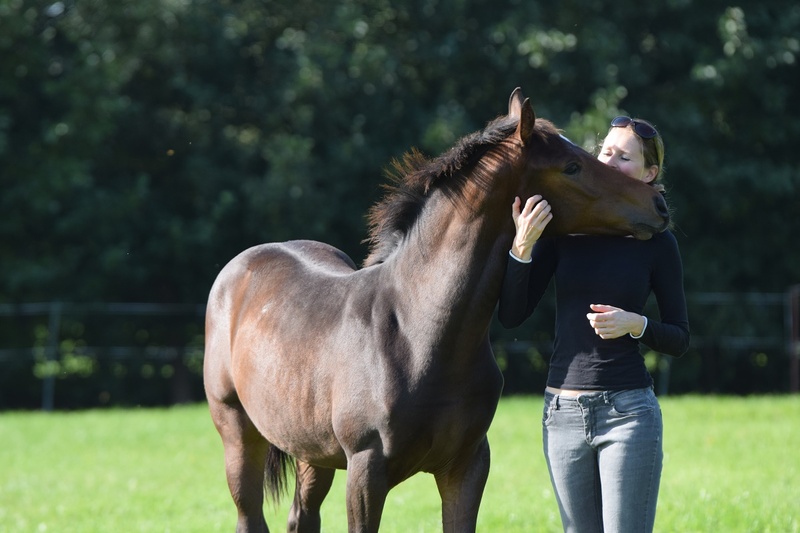 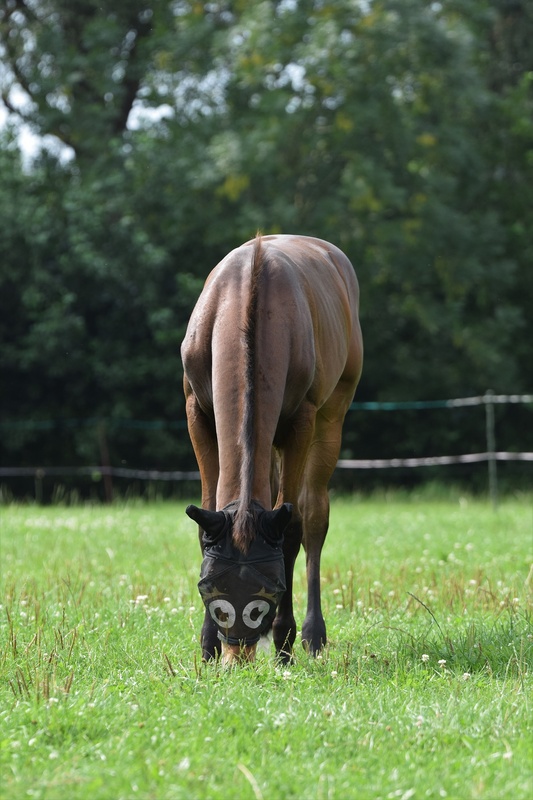 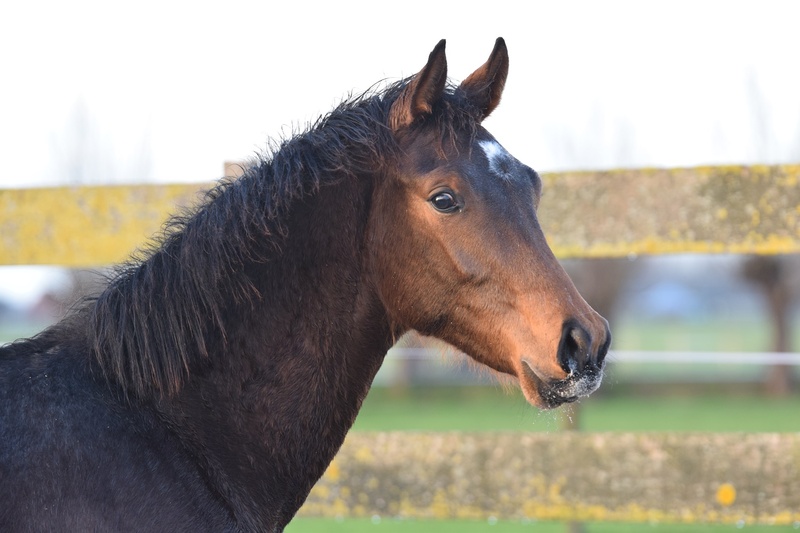 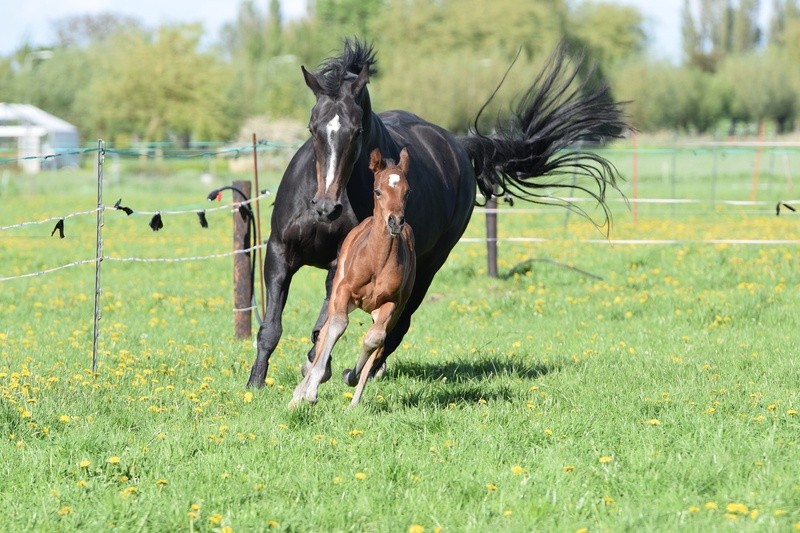 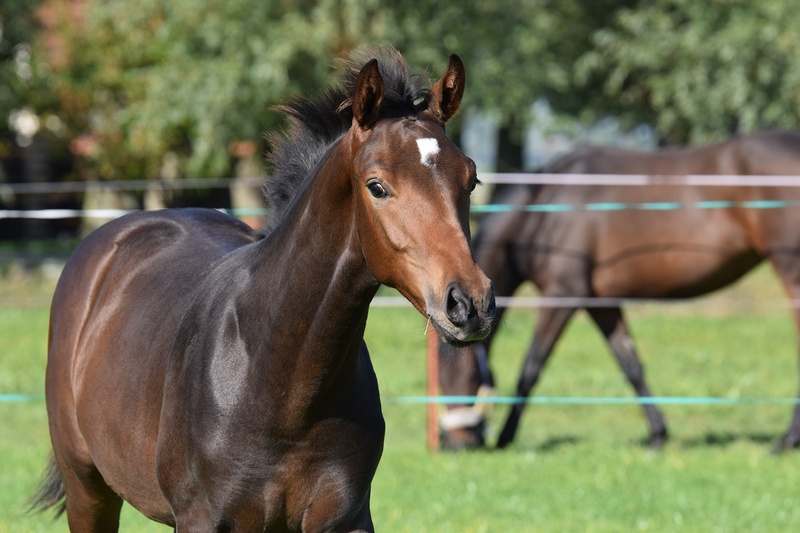 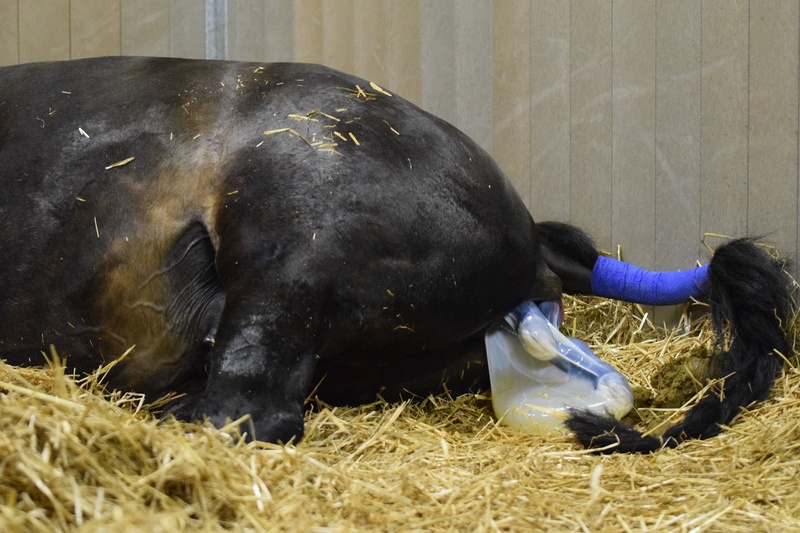 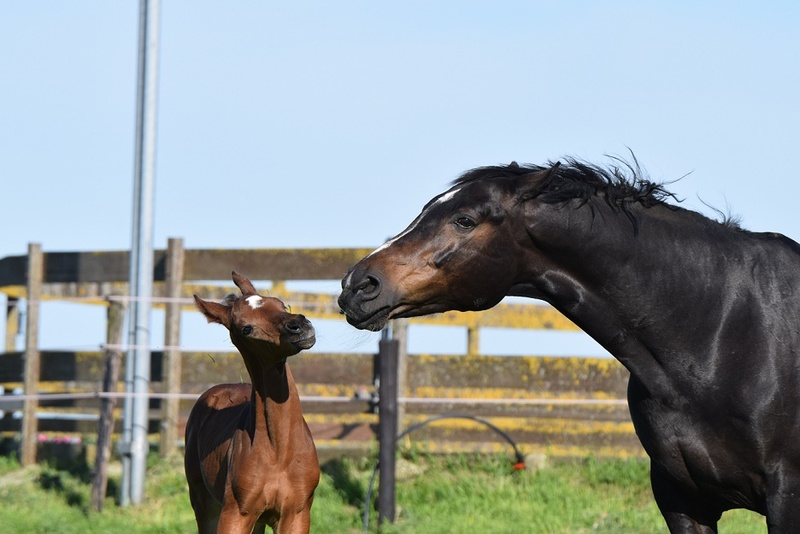 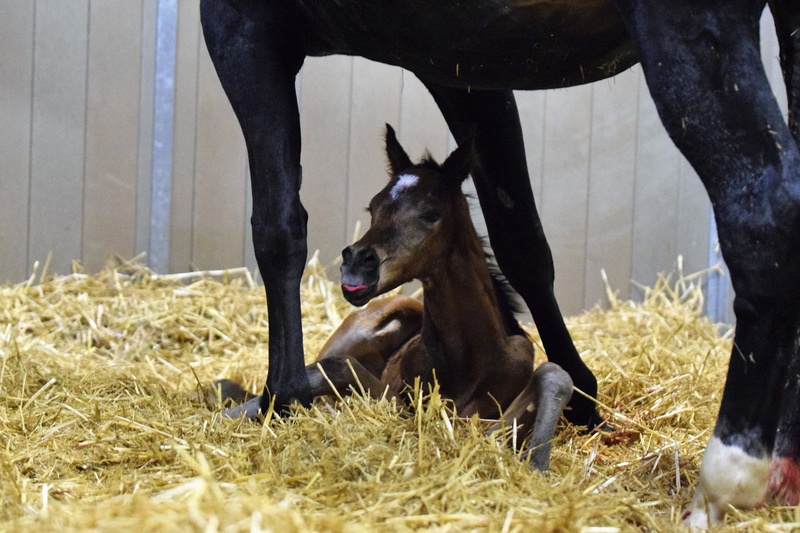 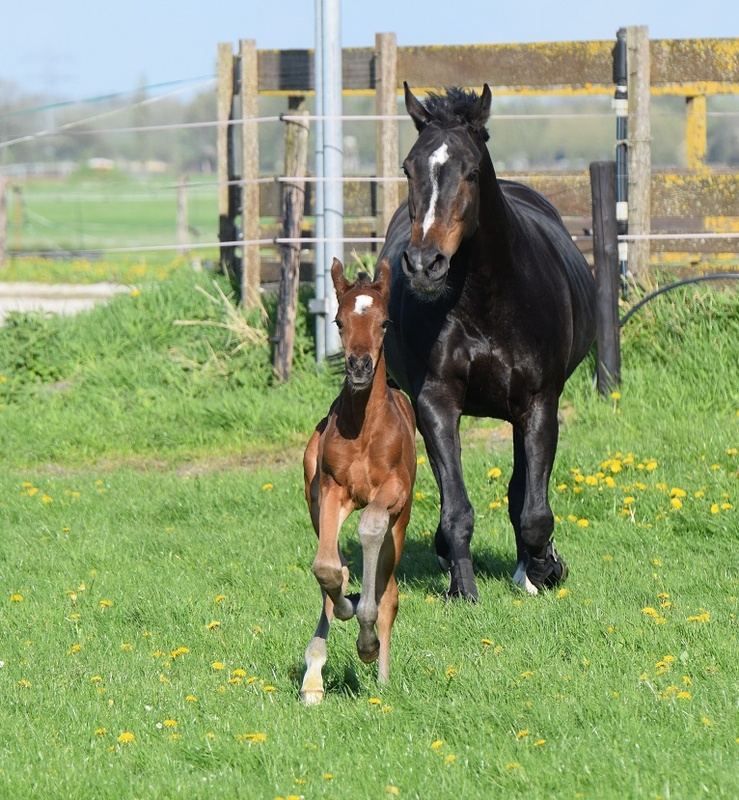 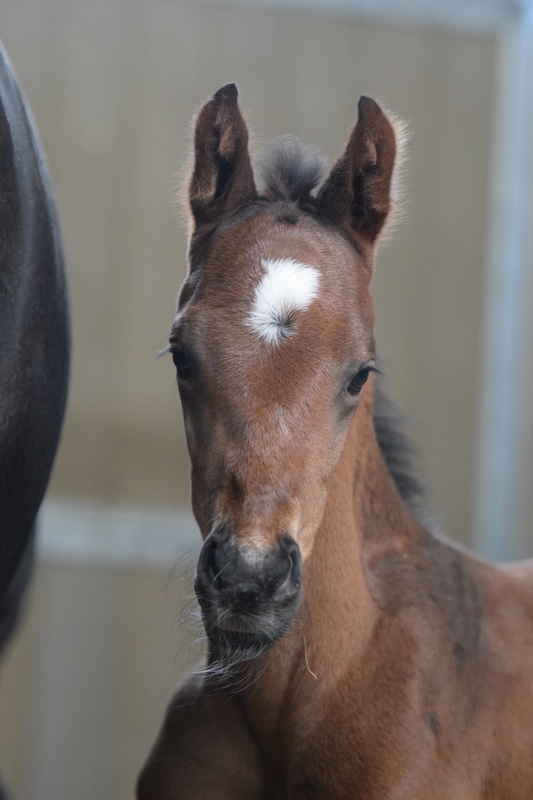 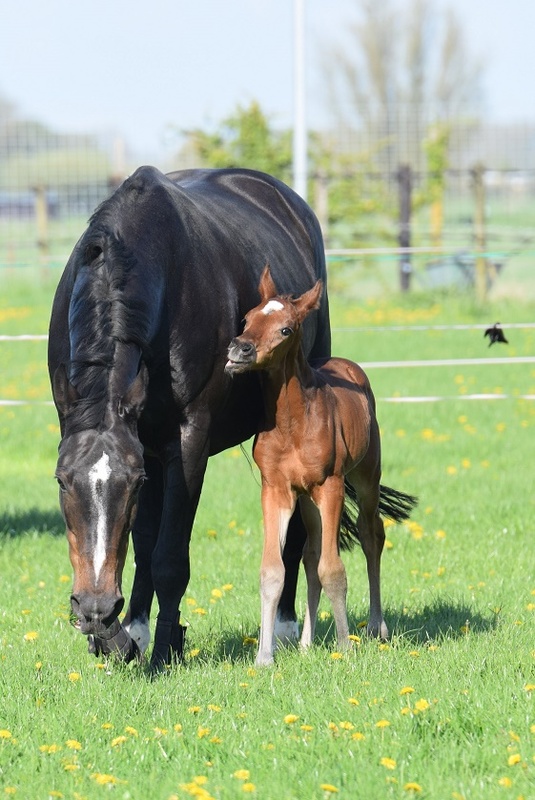 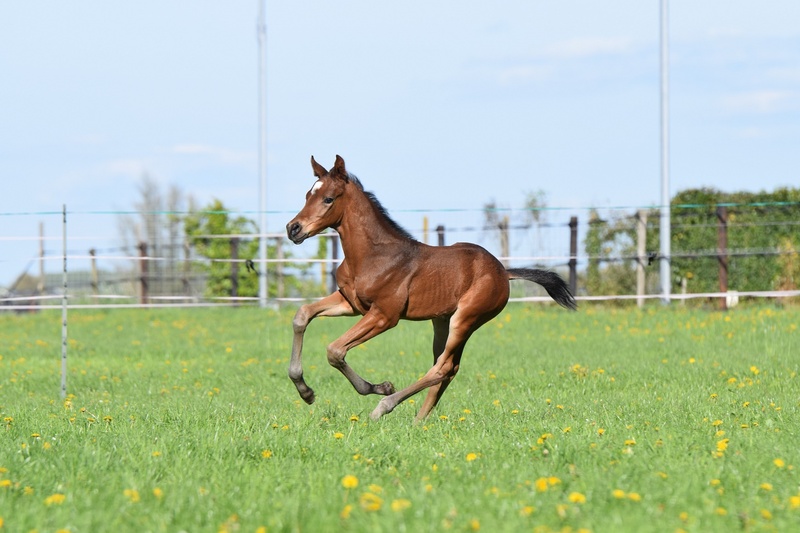 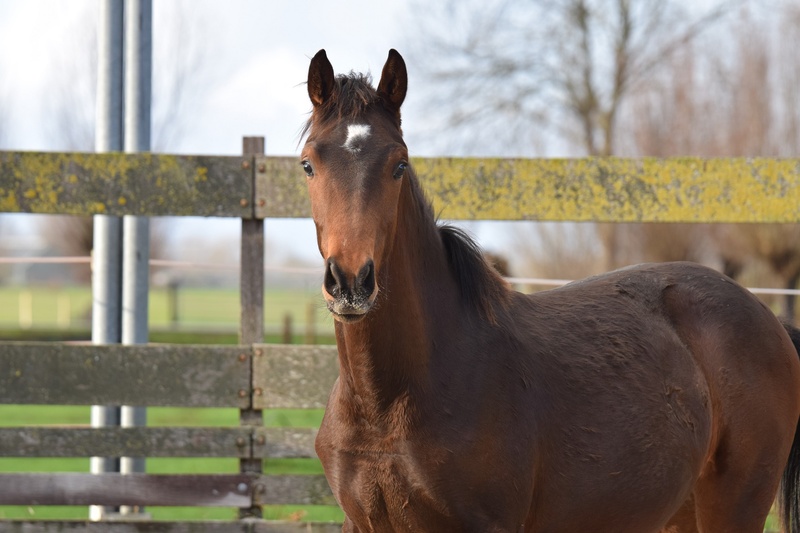 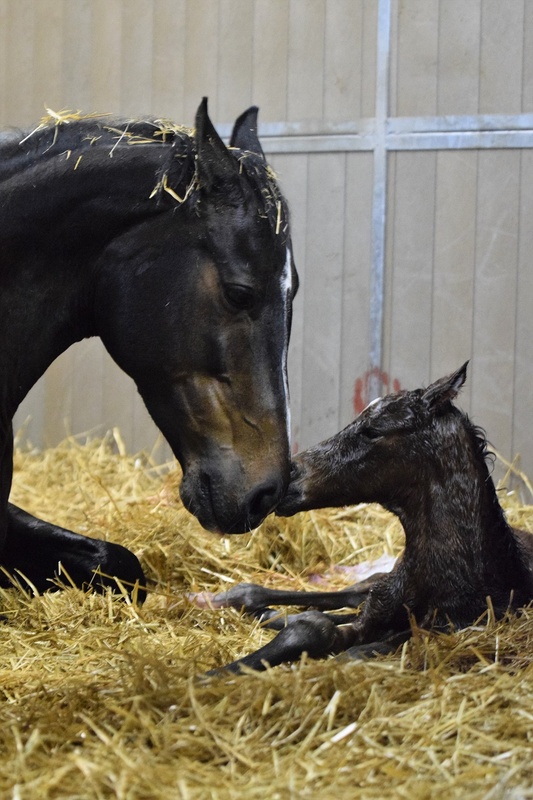 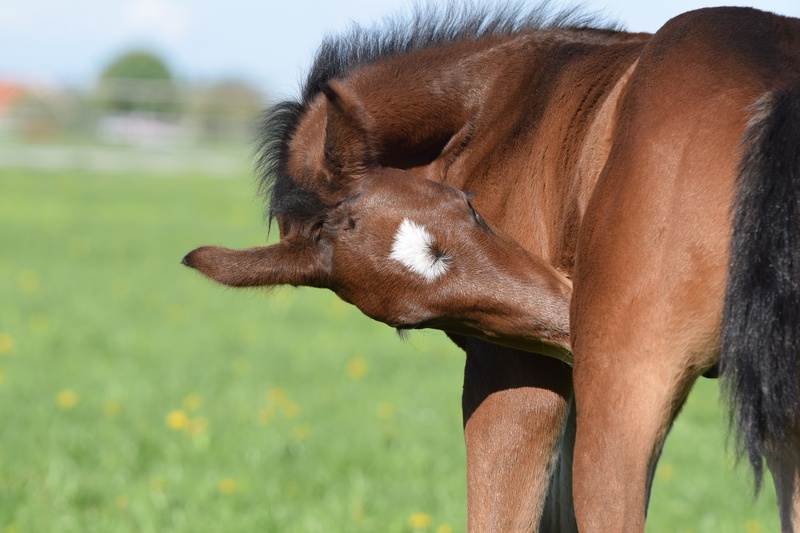 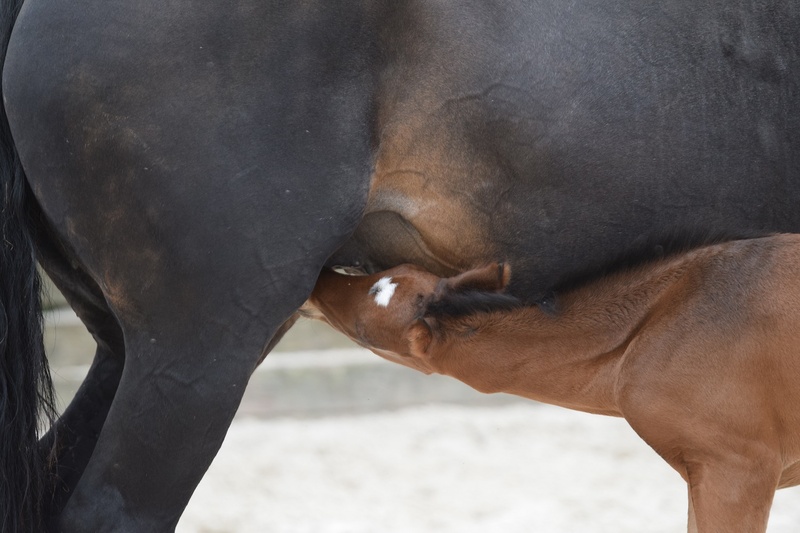 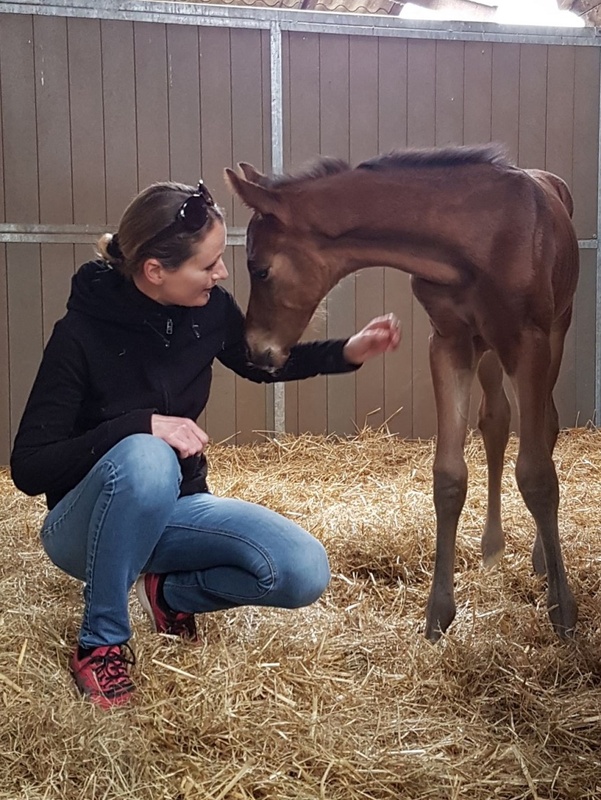 Her most famous progeny are the mares Authentic (by Fürst Heinrich) Dr Int-I Joyce,Lenaerts and Zolinde (by Sunnyboy) Dr ZZL, Astrid Reinders.